The Merriam-Webster dictionary defines ergonomics as “a science that deals with designing and arranging things so that people can use them easily and safely”, and “the parts or qualities of something’s design that make it easy to use”*. Ergonomic toothbrushes, both manual and electric, include specially designed handles and/or brush heads. 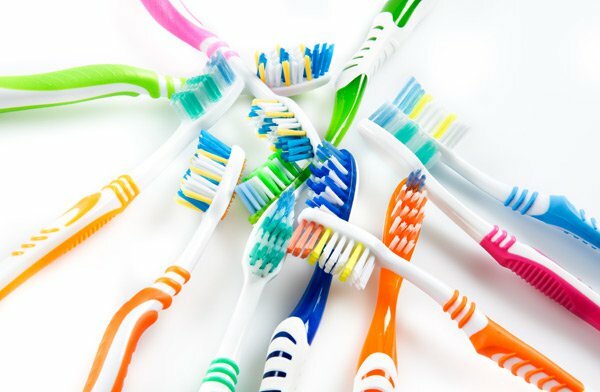 Many manufacturers claim the shape of the handles can help you gain a more effective brushing angle than normal toothbrushes, and feel more comfortable while brushing. Some also claim to brush teeth and massage gums simultaneously, while others say they last much longer than ordinary toothbrushes. Ergonomic toothbrushes are lighter than toothbrushes used to be, and often include grips to help people hold them more easily. The bristles on the heads of many are designed to make it easier to clean hard-to-reach areas, such as the back molars. However, most adults will not see any significant difference of effectiveness from the use of a normal toothbrush. Those that could benefit from ergonomic toothbrushes are children who have not yet developed the manual dexterity needed to adequately reach all teeth, and adults with physical limitations that make normal brushing difficult. Whatever type of toothbrush you choose, what really makes the difference in keeping your teeth and gums healthy is your brushing habits. No toothbrush can replace the effectiveness of brushing after each meal, and flossing at least once a day. If brushing isn’t a possibility during the day, chewing sugar-free gum or rinsing with mouthwash is the next best thing. In addition to frequency, how long you brush makes a large impact too. You should always brush at least two minutes each time, making sure you reach all areas of all of your teeth. Don’t scrub too vigorously, as this can harm the enamel and gums, but be thorough. You can also protect your enamel and gums by choosing a toothbrush with soft bristles, rather than medium or hard. And finally, no matter what your toothbrush manufacturer says about how long their products last, always replace your toothbrush every three to four months, or sooner if the bristles start to show wear.